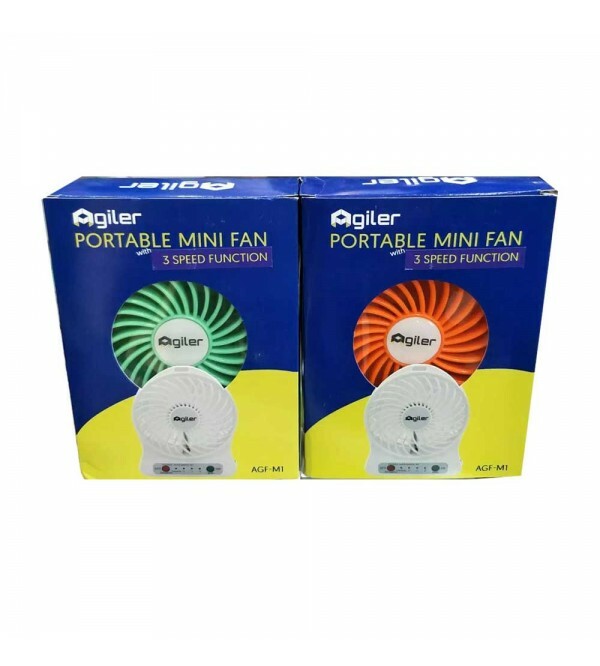 This small fan can be used as a cooling fan as long as you work in front of Notebook or Computer or can be used for notebook or CPU cooler to drain cold air and air circulation around it. Mini fan most of the material is made of high quality ABS plastic is very portable form that is very suitable to be brought anywhere because it is powered lihtium ion batteries that can be recharged via 5V DC port USB computer or USB power adapter (sold separately). This portable mini fan is integrated 3 mode fan speed adjustment speed knob, emergency LED flashlight and also provided power off button. Portable Lithium Battery Fan, Environmental Friendly with Low Carbon Material, Strong Wind Blow Power, Portable and Easy to Carry, Fan and Emergency LED Torch Function, DC5V / 1A Rechargeable Lithium Ion Battery, Automatic-Identified Polarity, DC 5V USB or Lithium Battery Charge , Good for Indoor and Outdoor Operation, Easy to Use.